For an explanation of my purpose in making this guide, see here. For previous installments, see here and here. North Kanto is comprised of four prefectures to the north of Tokyo: Ibaraki, Tochigi, Gunma, and Saitama. These prefectures have a total of thirty-two single-member districts, and the block has twenty proportional representation seats. Saitama is by far the most populous of the four prefectures — it alone has fifteen SMDs. The LDP has traditionally been strong in the prefectures in North Kanto. As this list of so-called "conservative kingdoms" suggests, the number of SMDs in North Kanto in which the LDP has been dominant is second only to the Kyushu/Okinawa PR block. Accordingly, in 2005 the LDP extended its dominance, winning twenty-seven of thirty-two SMDs, and nine PR seats to the DPJ's seven. In 2005 the LDP won five of Ibaraki's seven seats. It controls forty-nine of sixty-five seats in Ibaraki's prefectural assembly. Among the prefecture's Diet representatives are several senior party leaders. Accordingly, in Ibaraki the LDP may be able resist the DPJ more successfully than in other prefectures. But the LDP's position in Ibaraki is not wholly impregnable. In the first district the incumbent is Akagi Norihiko, known as the late Matsuoka Toshikatsu's short-lived successor as minister for agriculture, forestry, and fisheries in the Abe cabinet (and for this incident). Like other Abe cabinet veterans, Akagi's seat is vulnerable in this election. Like Nakagawa Shoichi, Akagi has apologized to his supporters for his misbehavior in public office. Akagi may be vulnerable not just for his association with Abe, not just because the DPJ is enjoying a national tailwind, but because he faces a strong DPJ candidate in Fukushima Nobuyuki. Fukushima is a former METI official who retired in 2003 to run against Akagi. He was beaten handily by Akagi in both 2003 and 2005, but given the other factors, he may be in a position to defeat Akagi this year. The DPJ should also be in position to pick up a seat in Ibaraki's third district, which will, for the fourth consecutive election, pit the LDP's Hanashi Yasuhiro against DPJ challenger Koizumi Toshiaki. Koizumi finished close enough to Hanashi in 2000 and 2003 to win PR seats, but slipped in 2005. This time around Koizumi will likely benefit from anger at the LDP to defeat Hanashi. He will also benefit from a less divided field: both the JCP and the SDPJ ran candidates in 2005, and an independent candidate received nearly 30,000 votes. Also vulnerable may be Koga faction leader Niwa Yuya in the sixth district. Niwa has won handily in the past, but in the sixth the DPJ's choice of candidate could make the difference. The DPJ candidate is Oizumi Hiroko, formerly vice governor of Yamaguchi prefecture and before that an official in the health ministry specializing in child care. Recall that the Ibaraki medical association withdrew its support of the LDP and indicated it would support the DPJ this election. Presenting herself as a health and welfare specialist, Oizumi may be well placed to exploit public anger over the LDP's eldercare program and unseat an LDP heavyweight. She will enjoy considerable support from the party leadership. Aside these three districts, the DPJ will struggle to gain seats in Ibaraki. It will undoubtedly hold its seat in the fifth district. However, in the second district it faces Nukaga Fukushiro, finance minister in the Fukuda cabinet, who, while actually having to campaign this year, should win reelection. (His smallest margin of victory under the new electoral system is 55,000 votes, in 1996.) The fourth district features a rematch of 2005's contest between Kajiyama Hiroshi, son of the late Takeshita faction power broker Kajiyama Seiroku, and Takano Mamoru. Kajiyama will have to fight harder this time around, but he should be returned to Nagata-cho. Finally, Ibaraki's seventh district is notable mostly for its soap opera. The incumbent is an independent, Nakamura Kishiro. Nakamura, a second-generation politician who not only inherited his father’s seat but who by his father's dying wish changed his name to his father's, was once a promising LDP politician associated with the YKK (Koizumi, Kato, and Yamasaki). He was also, however, a construction zoku — he was construction minister in the Miyazawa cabinet — and in 1994 he left the LDP was arrested and prosecuted on influence peddling charges. Despite the legal problems, he was elected as an independent in 1996 and 2000. In 2003 he lost his final appeal and was imprisoned. In his absence, Ibaraki-7 returned to the LDP, as Nagaoka Yoji, a MAFF veteran and two-time loser in lower house elections, won the by-election and then the 2003 election by comfortable margins. Nakamura, however, was paroled in 2004, and in 2005 he ran again. His opponent then was not Nagaoka Yoji — he committed suicide on 1 August 2005, just as the postal crisis came to a head — but Nagaoka Keiko, the late member’s wife who was pressed into running by the LDP. This paved the way for Nakamura’s triumphant return, as he received 89,099 votes to Nagaoka’s 81,230 votes. The latter won a PR seat, and the DPJ barely figured in the race, its candidate receiving only 33,266 votes, an 11,000 vote drop from 2003. And this year? Nakamura will once again be challenged by Nagaoka, with the DPJ candidate Yanagita Kazuo making it a three-way race. The DPJ certainly stands a chance, but it's probably Nakakura's race to win. Even so, the DPJ could wind up with four of Ibaraki's seven seats, a gain of three seats over 2005. For the past two elections the LDP has swept Tochigi's five districts. But even before the general election is held, the LDP has lost one of five. Watanabe Yoshimi's defection means that LDP has lost a safe seat in Tochigi's third district. Not only that, Watanabe has thrown the prefectural party into turmoil as it struggles to find a candidate to run against Watanabe. Accordingly, the DPJ stands to pick up three seats in Tochigi. In the first district, LDP incumbent Funada Hajime may have served nine terms, but he is a vulnerable incumbent: he lost to the DPJ's candidate in 2000 and won by a narrow enough margin to ensure that his DPJ challenger won a PR seat in 2003. He faces DPJ candidate Ishimori Hisatsugu, formerly a doctor in Utsunomiya, who, like Oizumi in Ibaraki, might be able to use his medical background to exploit political disaffection with the LDP's health policy. The first is one district where the presence of a JCP candidate — Koike Kazunori — could make a difference in a close race. The DPJ should also succeed in Tochigi's second district, where the DPJ has done well in the past. Fukuda Akio, its candidate in 2005, did well enough against the LDP's Moriyama Mayumi to win a PR seat. Fukuda will be running again, this time against Nishikawa Koya, who ran as a PR candidate in 2005. (Moriyama had intended to run against Watanabe, but was forced to back down when Watanabe threatened to run candidates in all five districts in Tochigi. She will be running as a PR candidate.) Given the turmoil in the Tochigi party, Fukuda's success in 2005, the national mood, and Nishikawa's own struggles in the past (he defeated a DPJ candidate in 2000 by less than 3,000 votes), the DPJ will pick up the second district. It should also do well in the fourth district, where its candidate is DPJ heavyweight and Ozawa lieutenant Yamaoka Kenji. Yamaoka has been reelected as a PR candidate over the past three elections, but will probably manage to defeat LDP incumbent Sato Tsutomu to win the SMD seat. The LDP will likely hold on to the fifth district, where Motegi Toshimitsu, one of the LDP's promising future leaders, has won by sizable margins in election after election, including an 86,000 vote victory in 2005 over Tomioka Yoshitada, his DPJ challenger this year as well. In Gunma as in Tochigi the LDP won all five electoral districts in 2005. Indeed, Gunma might be home to the safest LDP seats in all of Japan — it was also the single-member district in the 2007 upper house election that the LDP won most comfortably. The DPJ's best chance to pick up a seat is in the second district. The LDP incumbent is Sasakawa Takashi, currently the head of the LDP's general council. In 2005 Sasakawa defeated DPJ candidate Ishizeki Takashi by 1500 votes, ensuring a PR seat for Ishizeki. Ishizeki should defeat Sasakawa, especially since the JCP — which received more than 12,000 votes in 2005 — will not be fielding a candidate in the district. The DPJ will likely do best in Saitama, the most urban of North Kanto's four prefectures. While in 2005 it won only three of fifteen seats, in 2003 it won eight of fifteen. Revealingly, in 2005 DPJ candidates were revived as PR representatives in the second, third, fourth, seventh, and fifteenth districts — in other words, five of the DPJ's seven North Kanto PR representatives came from Saitama. Its candidates ran close races elsewhere in the prefecture, to the point that it is conceivable that the DPJ could sweep the prefecture. Its incumbents in the first, fifth, and sixth districts should be reelected easily, as well as in the five districts where its candidates were revived through proportional representation. The LDP's best chance may be in the eighth district, where incumbent Shibayama Masahiko defeated former DPJ Diet member Kinoshita Atsushi by thirty thousand votes — Shibayama faces a newcomer in former BOJ staffer Onozuka Masatoshi. The LDP may also have an upper hand in the tenth district, where the incumbent is Yamaguchi Taimei, the prefectural party head. But as in the ninth, the DPJ is fielding a candidate with previous Diet experience, Matsuzaki Tetsuhisa, who lost by 12,000 votes in 2003 and won a PR seat. In the twelfth the LDP is also fielding an incumbent, Kojima Toshio, who has won comfortably in the past two elections, although he will also face a DPJ challenger with experience in the Diet. Honda Hiranao has lost the last two elections in Saitama's twelfth district, but won a PR seat when a DPJ PR member won a by-election in 2004. In the eleventh district, the DPJ has not named a candidate of its own, but will be backing Koizumi Ryuji, a postal rebel who lost to "assassin" incumbent Arai Etsuji in 2005 and is now connected with Hiranuma Takeo. 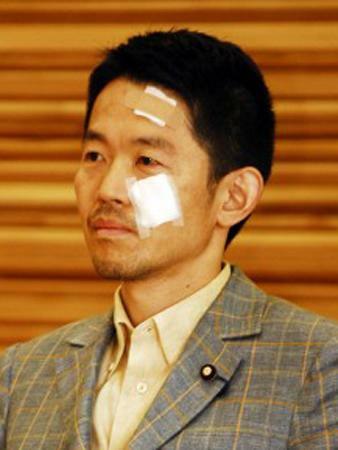 Arai lost by just under 5,000 votes in 2005, and stands a strong chance of retaking his seat. In the ninth, the LDP will likely lose what should have been a safe seat due to the retirement of Ono Matsushige, who won by a comfortable margin in 2005. In his place the LDP will run Otsuka Taku, a first-termer who won a Tokyo PR seat in 2005. Otsuka, a Koizumi child, will face Igarashi Fumihiko, the DPJ's candidate in the past four elections. Igarashi won PR seats in 2000 and 2003, and will likely defeat Otsuka. The DPJ is sure to pick up a seat in Saitama's thirteenth district, where in 2003 its candidate lost by 600 votes to LDP incumbent Tsuchiya Shinako and won a PR seat. While Shinako won handily in the rematch in 2005 and while the DPJ is fielding a new candidate — former Saitama prefectural assemblyman Morioka Yoichiro — national trends should swing the district in the DPJ's favor. The DPJ should also win the fourteenth, where for the third consecutive election LDP incumbent Mitsuya Takashi faces DPJ challenger Nakano Jyo. Nakano won a PR seat in 2003, and should best Mitsuya this year. To sum up, the DPJ should win at least eleven of Saitama's fifteen seats, with one likely going to independent Koizumi Ryuji. And the possibility remains for the DPJ to win all fourteen seats in which it is fielding candidates. The DPJ is therefore in position to win at least nineteen of the North Kanto's thirty-two SMDs. Once again using this handy d'Hondt PR simulator and Yomiuri's recent poll numbers, it appears possible that if the DPJ can run at a level consistent with national polling it may be able to pick up as many as five PR seats over its seven from 2005, while dropping the LDP to six. If the DPJ can win this many seats in North Kanto, it will wind up with thirty-one of the region's fifty-two seats.